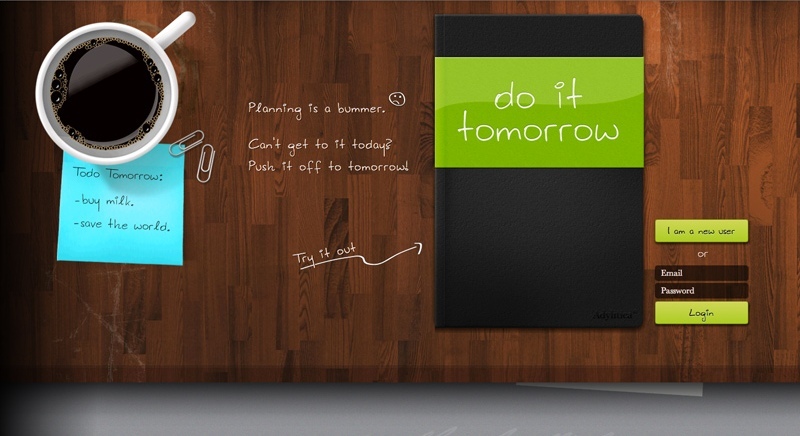 Do It (Tomorrow), by the developer’s own admission, is a to-do list designed especially for procrastinators. You get one sheet of (virtual) paper, a (virtual) pencil and that’s about it; you write down your tasks for the day and tick them off. If you don’t complete a task, it moves to the next day (or you can move it yourself). Do It (Tomorrow) is ridiculously simple, which is a massive plus point in a world filled with over-the-top productivity apps designed to turn you into an ultra-efficient drone. You can see what you need to do today and tomorrow, and that’s it. There are no passive-aggressive alerts if a task is ‘overdue’ as Do It (Tomorrow) simply moves any tasks you didn’t complete to the next day. It sounds like a simple feature, but it’ll do wonders for your stress levels. It’s a bit too tempting to push all of your tasks to tomorrow and sit around playing games in your pants instead (although this isn’t a problem if ‘sit around playing games in my pants’ was one of your to-do tasks). Share any apps that have made your life easier with us in the comments.